We were surprised to see this one lone monarch in our yard two days ago. I would have thought they would all have gone by now. She spent the night on an old withered-up milkweed plant and was covered in dew yesterday morning. I moved her onto an aster in a sunnier spot in the garden, and after a few hours she was gone. I hope she makes it to Mexico after such a late start! The bumblebees are still going strong, nectaring on some anise hyssop volunteers that started growing in mid-summer. The flowers are beautiful, fresh, and must be full of nectar since there's a lot of bee activity on them. The asters and goldenrods still have flowers, but they're definitely starting to go to seed. The birds should be happy about that! This year, I've found, though, that the asters, goldenrods, and joe-pyes have started to take more than their fair share of the garden. 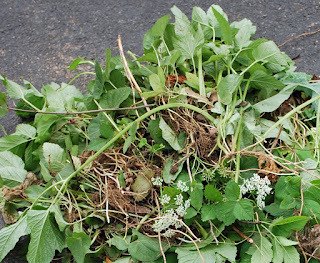 As much as I like these plants, I've started pulling out quite a few of them so other plants don't get squeezed out. My other major project this fall is to put plastic plant labels next to all of my plants except the most recognizable and/or prolific. 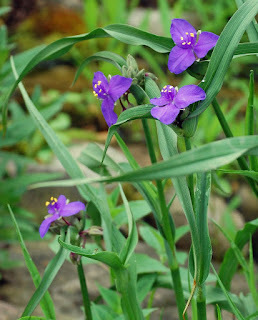 Too many times in the past I've bought new plants only to either forgotten where I put them (probably then pulling out these as yet unfamiliar plants as weeds) or they've been overtaken by more aggressive plants. I know these white plastic T-labels aren't the most attractive addition to the garden, but the benefits of not losing my new plants and not forgetting their names are more important. After a few weeks in the spring, most will be hidden anyway. At the beginning of summer, I was beginning to think that we might not see too many monarchs, that it could really be the beginning of the end of the migration phenomenon. Though monarchs do face many challenges--lack of milkweed, pesticides, degradation of their overwintering sites among others--at least here in Central New York, we managed to find enough eggs in our yard that we're ending up with 200 monarchs! So far, we've released 155, with 45 still in their chrysalises. Unfortunately, it has rained all day and it's cool, too, so there today's "crop" of 15 monarchs still sit, just where I put them many hours ago. Monarchs can't do much unless it's at least 60F, but even if it were warmer I suspect the rain would keep them from leaving. I released them this morning just outside our back door, so they're protected somewhat by being under the eaves. This side of the house doesn't get the northern or western winds either, so I think they'll do fine. I'd be more than happy to keep them inside, but once they've hung around a few hours and their wings are dry, they're eager to leave. 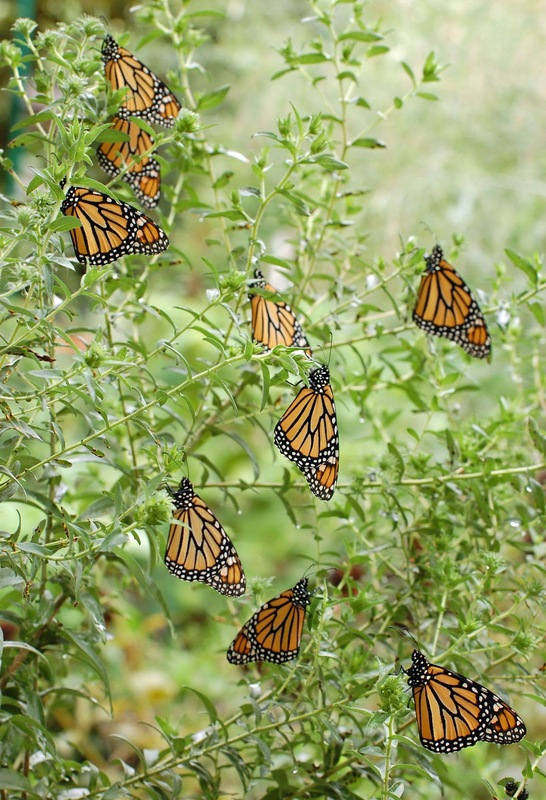 They're just in time for the fall migration, since monarchs leave CNY about mid-September. 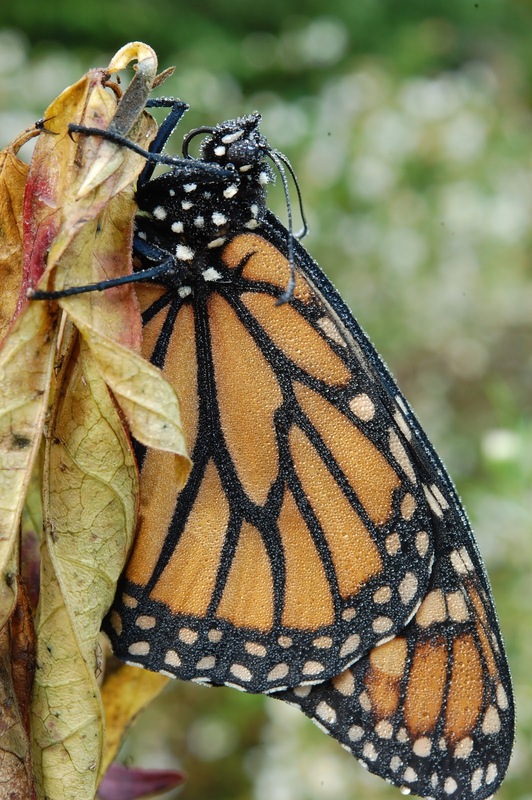 All our monarchs should have eclosed (i.e. emerged from their chrysalis) by then. 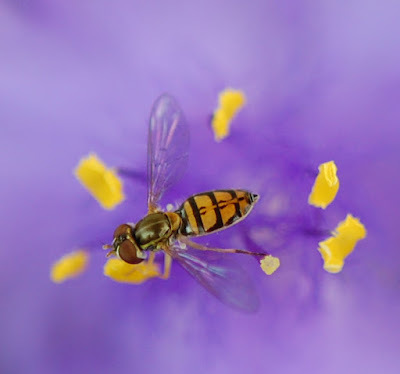 They're likely to encounter some challenges on their way to Mexico, especially the drought in Texas that will limit the availability of nectar. And then if and when they get to Mexico, their overwintering habitat is gradually being destroyed by illegal logging and by climate change. For more info on my monarchs, visit Our Habitat Garden website. So far this year, we've raised only eight monarchs, and we've seen only one or two adult butterflies (except our own that we released). 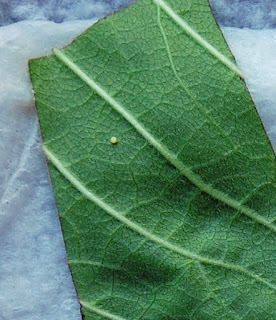 Finally, today I saw a monarch butterfly and I discovered ten eggs! 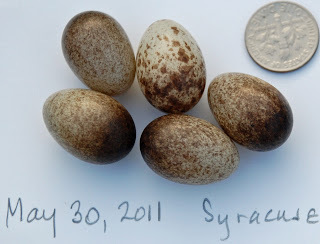 This year, every egg is more precious than ever since there have been so few monarchs not just here in Central New York, but elsewhere in the country. I'm tightening up my method for raising them. 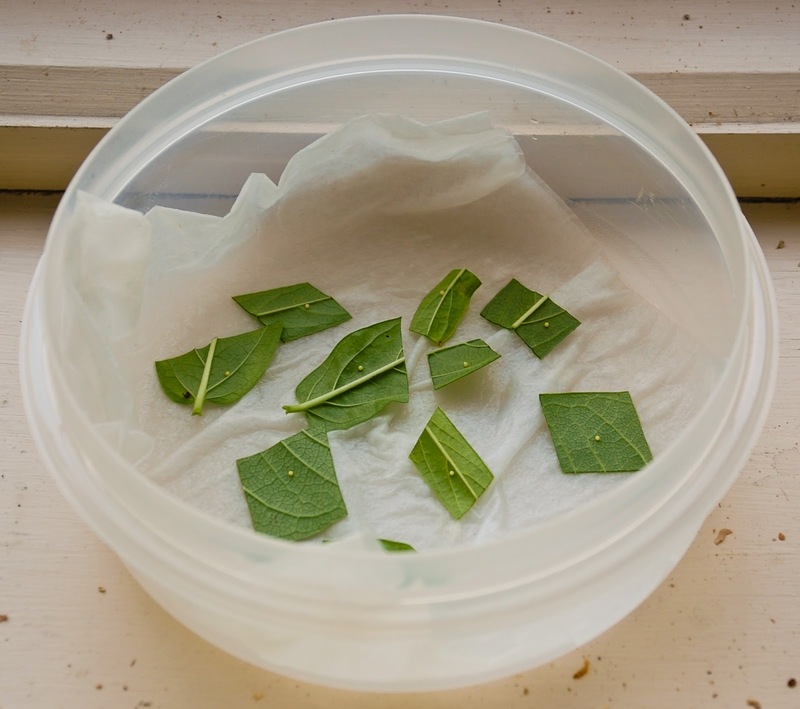 I'm going to keep no more than ten eggs / caterpillars -- collected the same day -- together in one container to minimize the chances of spreading any disease such as Oe. The sad fact is that this makes a total of 18 monarchs (assuming they'll all make it to butterflyhood) this year; last year at this time we had 45. 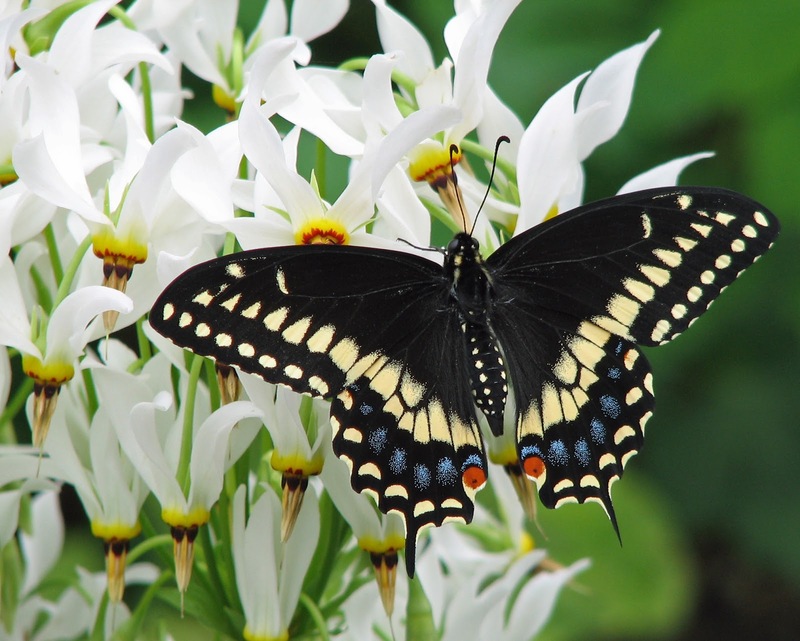 There have been similar or even greater declines in our black swallowtails, American lady, and other butterflies. 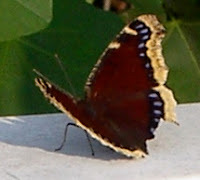 In fact, we haven't seen many butterflies of any kind very often. As I was walking up our front sidewalk, I noticed some bumblebees buzzing around, but there weren't any flowers in the immediate vicinity. On closer look, I noticed them entering the ground. 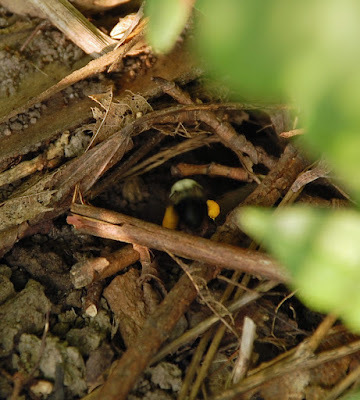 I found a bumblebee nest! 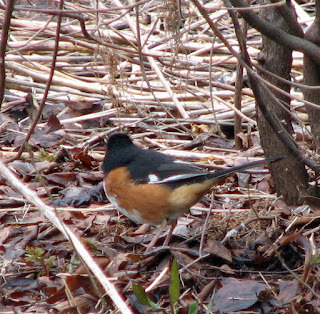 I'm sure there's more than one in our yard since we have lots of bumblebees and lots of great places for them to nest--in other words, some bare ground, so scarce in suburbs with mostly lawn and asphalt. What was interesting was that there were two entrances, about 6 inches apart. The bumblebee in the photo is carrying some of his pollen/nectar mix on his legs. 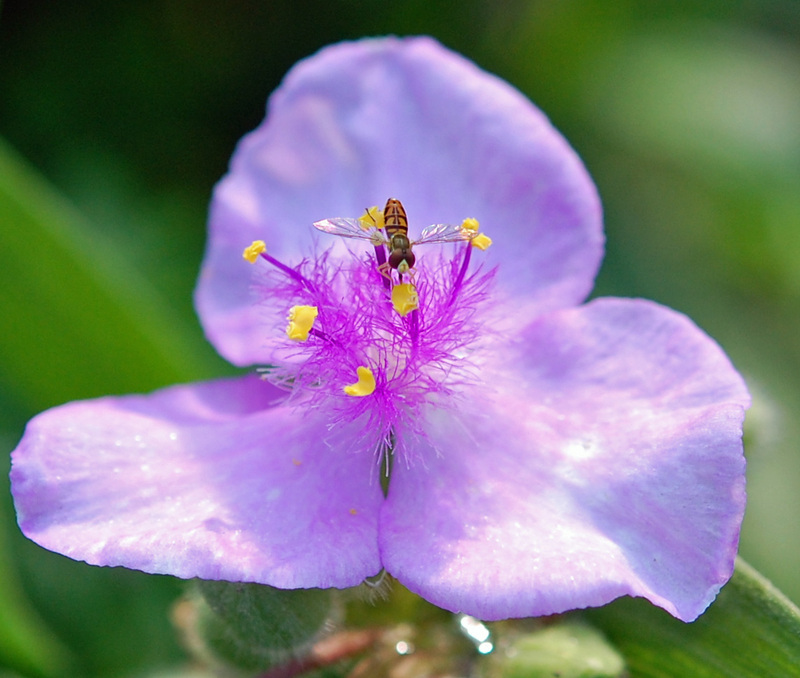 It will be used to feed the young bees as the colony gets larger and larger. There's actually quite a high failure rate, and if they fail, I guess that means that the colony ends up producing no queens for next year. I don't know whether the queen of a failed colony can start a new nest midway through the summer. I'm going to refrain from weeding in this area and hope to see some beautiful queens produced by fall! We had some excitement last night. I glanced over and saw a doe and her fawn in a neighboring yard. (The neighbors were out of town.) I tried to signal the woman walking down the street with two VERY LARGE dogs that they were there. She stopped, but one of the dogs got away from her and went bounding toward the deer. The doe quickly ran away, and the fawn instantly dropped to the ground in this very awkward-looking posture. Meanwhile the dog dashed to the fawn. I was sure it was going to rip it apart, but the dog just sniffed it curiously. I grabbed the dog's leash and returned it to its owner. So now we had this tiny fawn all alone. The mother was nowhere to be found. I fervently hoped that she would come back to get it during the night. And the next morning--not knowing what I would do if it were still there--I went to check. Phew! It was gone, and I was off the hook. But it brings out a lot of issues. For one, who could not love this cute little fawn? 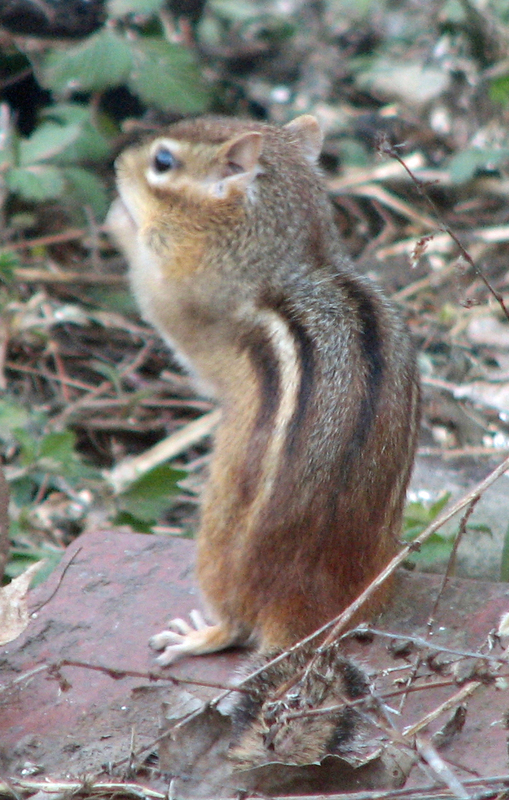 It was definitely one of the cutest animal babies, and so vulnerable, too. I worried about it all night. At the same time, though, I don't want deer in my yard, and I don't want so many deer destroying our natural areas, either. We have a serious problem with deer overpopulation. 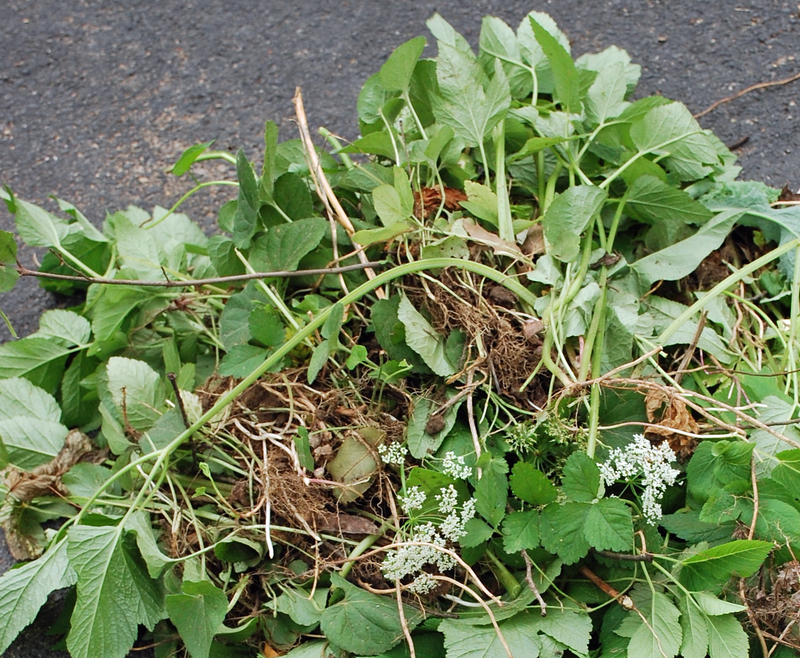 It's not good for our home landscapes, it's not good for our natural areas, it's not good for people who may collide with them while driving...and it's not good for the deer, either. I feel very conflicted about this dilemma. I want the best for this little baby, but it also represents the huge problem of an ever-increasing deer population--a population which is beyond the carrying capacity of our region. I know it's a disaster to have so many deer. I also know that the solution cannot be a happy one, but one that must take into account a larger view of what is healthiest for the earth. I ended the evening feeling very sad about the problems we face--and very uncertain whether humans are up to the challenges facing us. 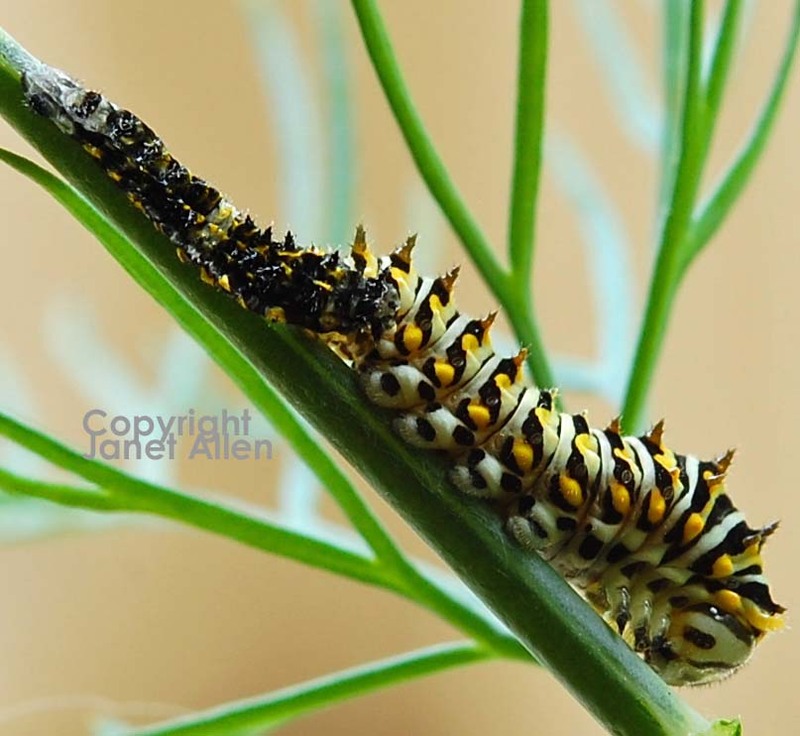 UPDATE: Our overwintering swallowtails emerge! Just emerged. Its wings are still crumpled. I was about to give up hope. After all, the idea of these little black swallowtail pupae overwintering on a freezing cold screen porch all winter, nine months after they became a pupa is itself preposterous. And the time we had this situation before, they had already emerged by this point in May. 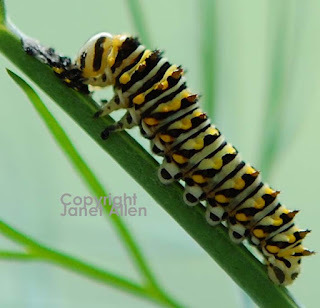 But today, when I happened to glance at the aquarium that has housed these pupae all winter, I saw a swallowtail, with its wings still crumpled, having very recently emerged. It's currently still just hanging from the stick, waiting for its wings to become strong enough to fly away. I'm happy that this morning is one of the few days that there's some sun. I'd hate to release him into a rainy outdoors. It's amazing to think that this is the first time it has seen the light of day since last July or so! 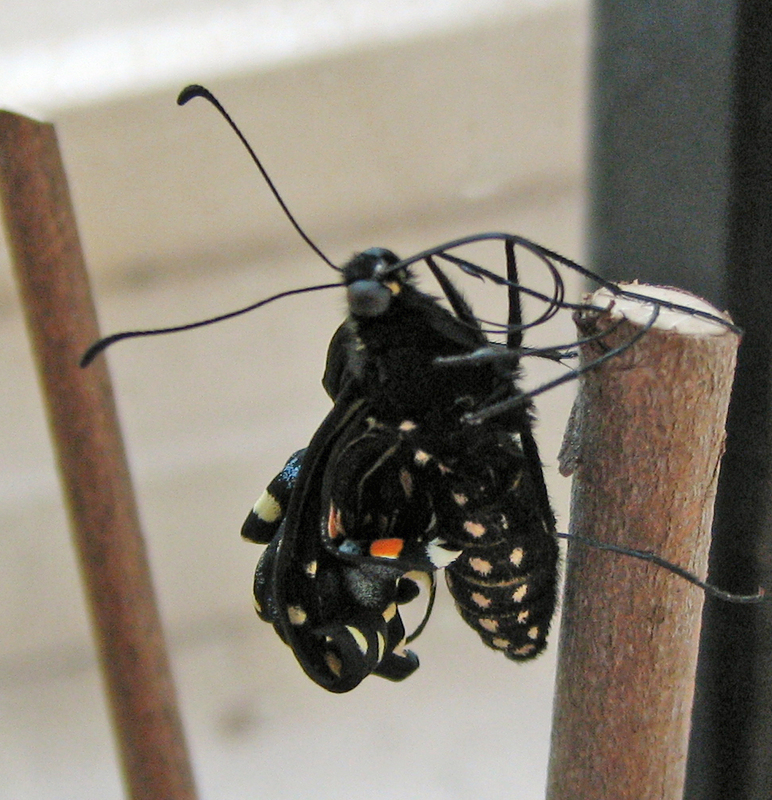 UPDATE: After hanging around a few hours, its wings were fully expanded and flight-worthy. He was ready to go out into the world for his first venture post-caterpillar. Here he is sitting on some beautiful shooting stars. I'm glad we have lots of zizia, dill, and parsley growing so if it manages to find a mate, there are places they can lay eggs for the next generation. 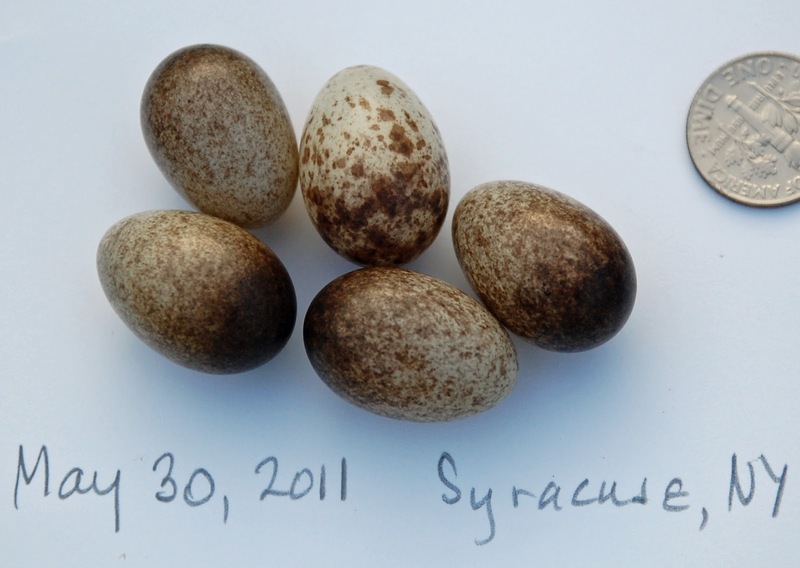 Over the past few years, toads have laid tens of thousands of eggs in our ponds. By the time they're ready to leave our ponds, there are somewhat fewer, and I imagine that after a few weeks out of the ponds, their numbers are considerably diminished. 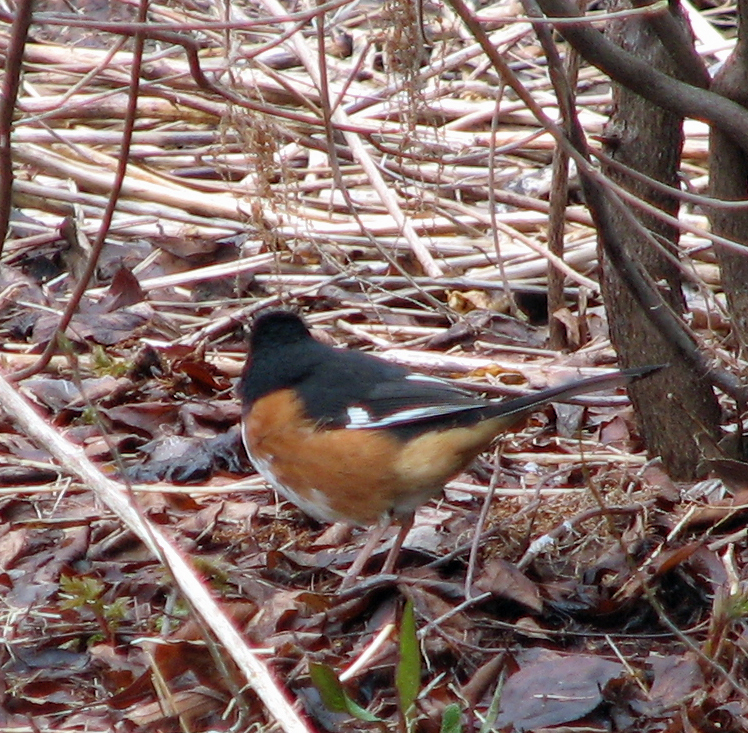 On days when many are leaving the pond, I've seen birds with little legs sticking out of their beaks. But after all, how many toads could our yard support anyway? Natural attrition is built into the system. It's always fun to discover some of our own toadlets growing up. 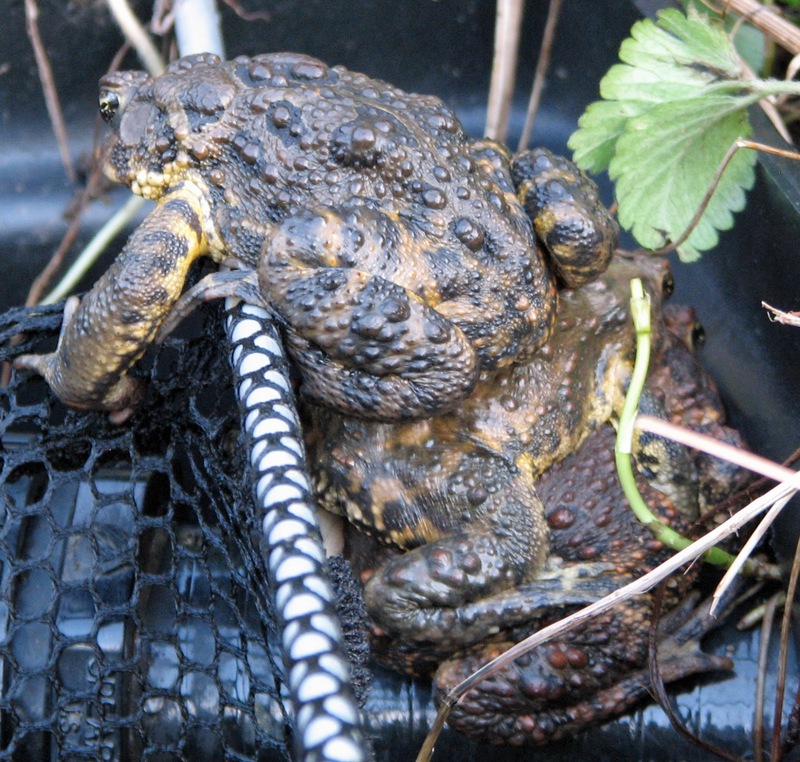 Yesterday, I moved a stone and discovered two adolescent toads! We don't know if they were last year's toads or toads from the previous year. (I put a dime near him to show his relative size.) We relocated them to an area with lots of cover, and we're sure they'll be helping us as they grow by eating increasing numbers of slugs and other pests. 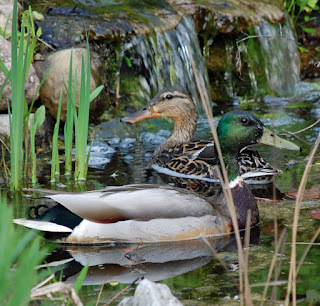 A few years ago a pair of mallards visited our pond briefly, but we hadn't seen any since then ... until tonight. Our pond is just barely ten feet across, so I don't believe it's adequate to support a pair of ducks, but it's interesting to have them as visitors. Our biggest concern about having these otherwise welcome guests is that they'll eat our toad tadpoles. We've had batches of toad eggs in both our upper pond (the one shown here) and in our lower pond, which is next to the house. The toads laid many thousands of eggs, so as long as they don't go into our bottom wildlife pond, then we'll probably have as many tadpoles as our yard can support anyway. It was interesting watching the two enjoying the pond and stream. As I kept crawling closer, they seemed to become quite comfortable with my presence, but seldom took their eyes off me just in case. 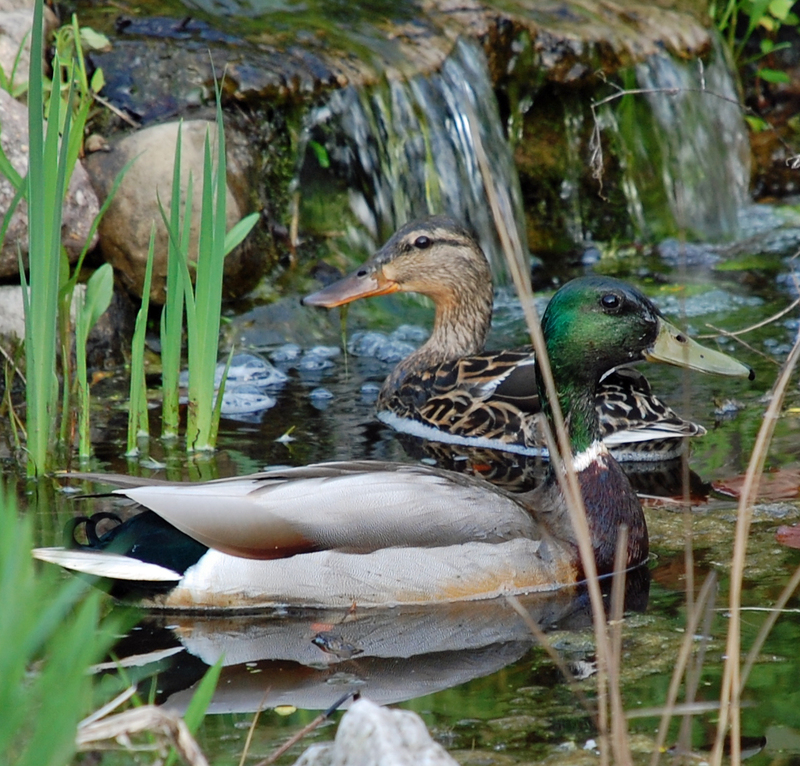 They finally left the pond and stream and wandered into my meadow garden for a little while before taking off. 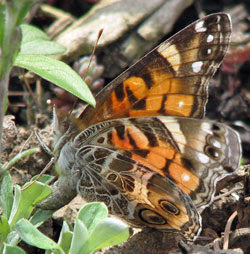 I'm not sure when we've first seen American Lady butterflies in the past, but it seemed early. Maybe that's just because it has been so rainy and cold following such a long, snowy winter that it's hard to believe it's actually May. 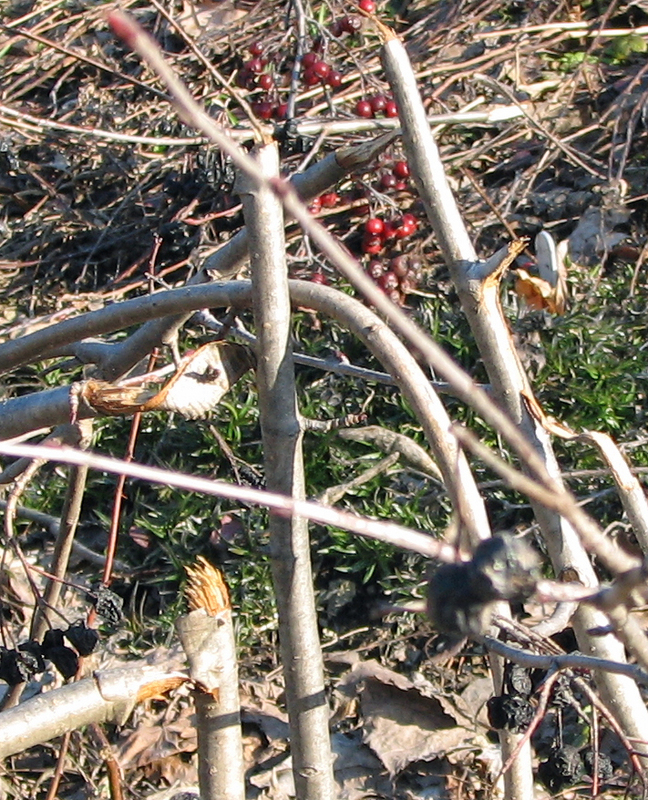 At any rate, it was certainly encouraging to see life beginning anew! It always amazes me to see butterflies finding their host plants. I have a few good patches of pussytoes (Antennaria), but even so, they're dwarfed by all the other plants in the yard. Still, the ladies find them, as they must. 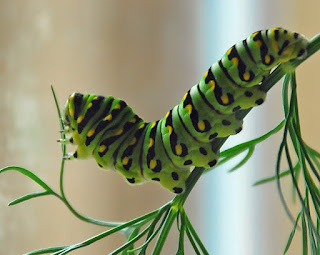 We're still waiting for the dill to grow so the black swallowtail butterflies will have something to lay their eggs on. 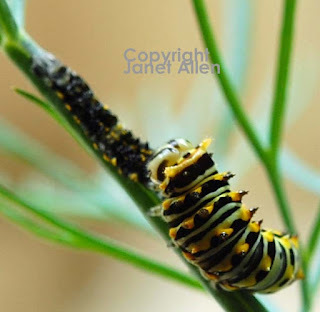 Of course, they could also lay their eggs on parsley, but they always seemed to prefer the dill. We also have some zizia, their native host plant, which is starting to grow. These three toads spent the entire day in the pond skimmer without moving a muscle. That might have been fine for the toad on the top, but I wouldn't have wanted to be the toad on the bottom! I assume this is their sleeping time, resting up for the nighttime frolics in the pond. We've had at least four batches of eggs laid so far. I've had to remove two mating pairs from the skimmer and put them in the bottom pond, but they seemed to disappear after a while. Maybe they gave up and went away. I don't like to disturb them, but any eggs they laid in the skimmer would be going up through the return pipe, through the biofalls lava rocks and into the stream. I don't think they'd survive, so moving them is the best I can do. At any rate, we have so many thousands of eggs now developing that I don't think more eggs would necessarily mean more toads. 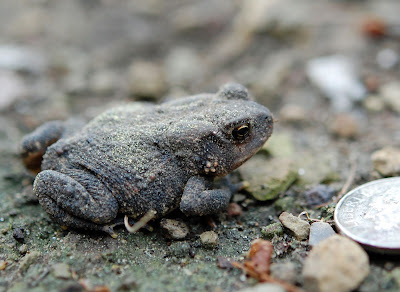 The saddest thing is to hear all the toads singing throughout the neighborhood, knowing that the majority of them are laying their eggs in swimming pools, which will soon be chlorinated. More info on my frogs and toads is on my website at www.ourhabitatgarden.org/creatures/amphibians.html. The snow and ice finally melted enough so we could start the pond and stream again. 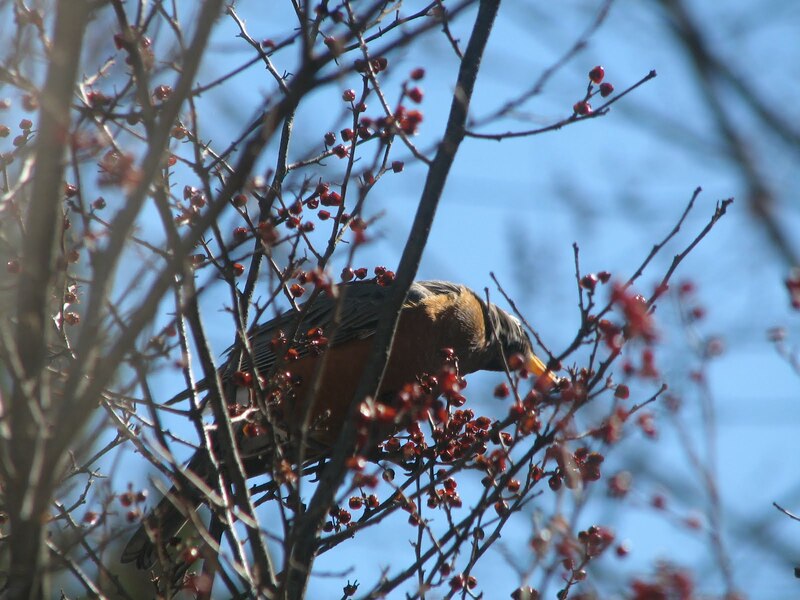 A real sign of spring, even though there's not yet much green. The birds noticed immediately that their small flowerpot-saucer birdbath had been replaced with a "real" stream. 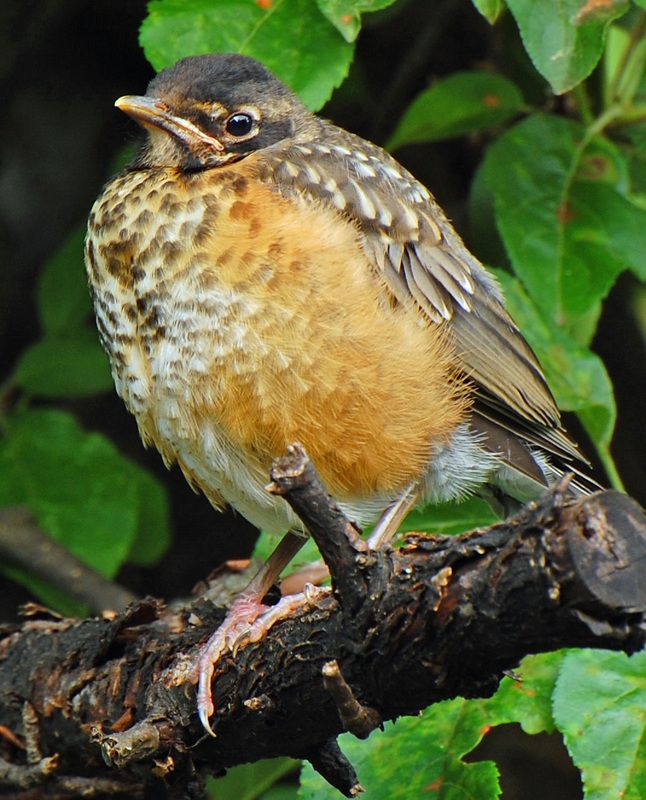 I expect the robins will be especially happy, since they're our stream's most dedicated bathers. 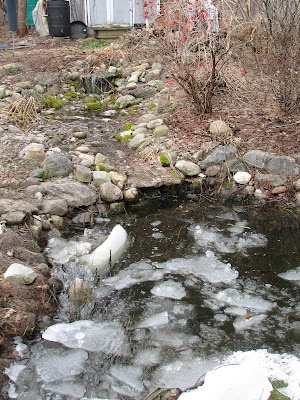 It's so nice to again hear the stream flowing, though it's still so cold that we have to go outside to hear it. 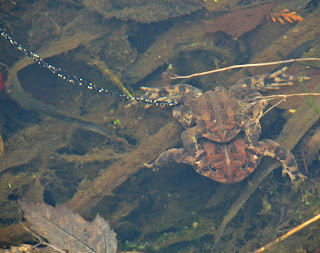 Next spring milestone we're awaiting: toads singing! 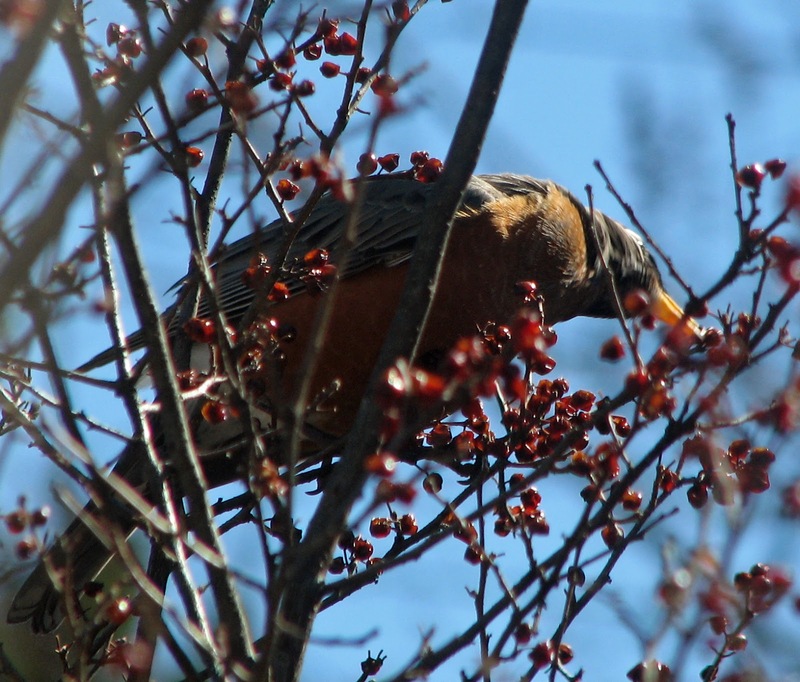 These winterberries (Ilex verticillata) may be wizened and not nearly as appealing as they were during the winter, but now that the northern mockingbird is no longer claiming them as his own, this robin is getting a meal. 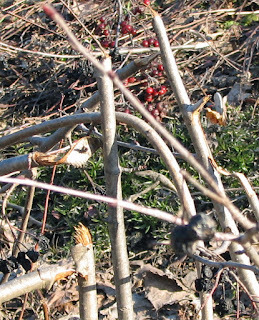 Fresh new berries won't be available until the serviceberries (Amelanchier canadense) are ready in June.